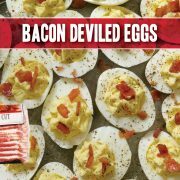 This delicious recipe is all treat, no trick—perfect for a festive Halloween party and some Indiana Kitchen Premium Pork Products. In a large cast-iron pot, melt 1 tablespoon of the butter in 1 tablespoon of the oil. Season the pork with salt and pepper. 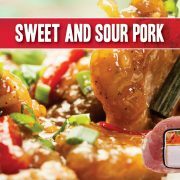 Add one-third of the pork to the casserole and cook over moderately high heat, stirring occasionally, until well browned, about 8 minutes. 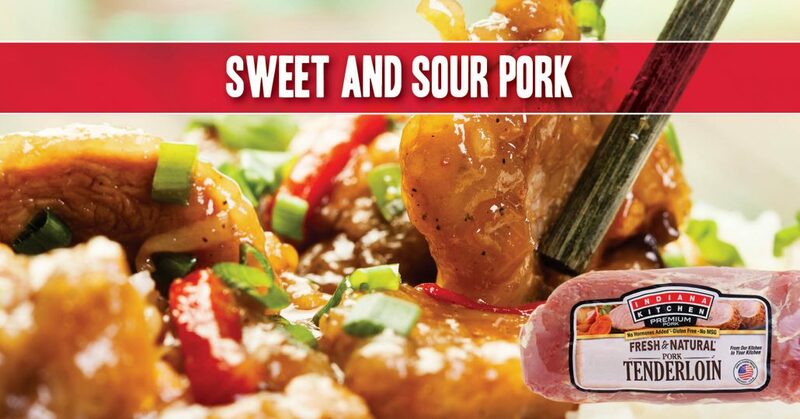 Transfer the pork to a baking sheet. Repeat in 2 more batches with the remaining butter, oil and pork. 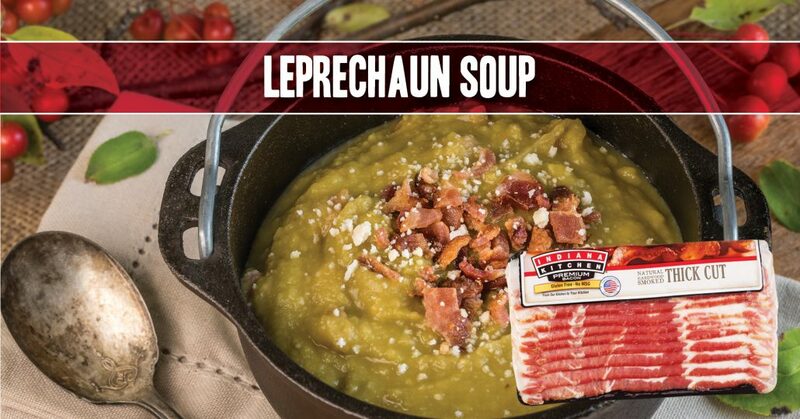 Add the bacon to the pot and cook until desired doneness; then add to the pork. 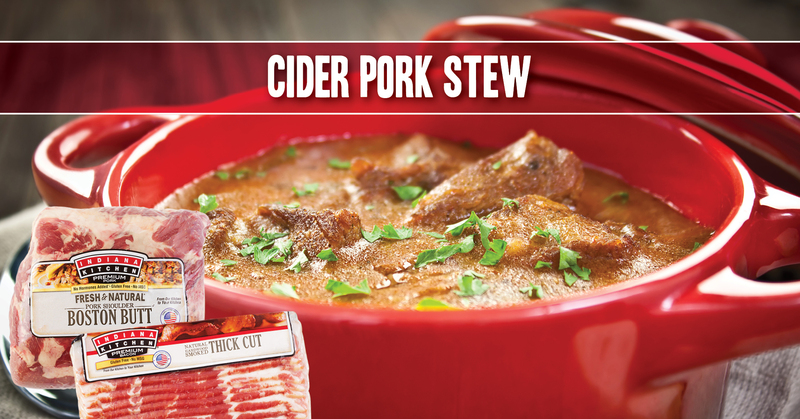 Add the pork and bacon back to the pot along with the cider, stock and bay leaves; bring to a simmer. Cover and simmer gently until the pork is tender, 2½ hours. Discard the bay leaves. In a small bowl, whisk the cornstarch with 1/4 cup of water. Add the cornstarch mixture and the cream to the stew and simmer until the liquid is thickened, about 5 minutes. Stir in the mustard and sage and season with salt and pepper. 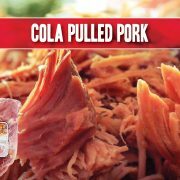 Here’s a little heat to enjoy as the cooler fall temperatures start to set in, featuring some Indiana Kitchen pulled pork. Slice each jalapeño open lengthwise, then make a small crosswise cut at the stem end to form a T. Gently open the jalapeños and scrape out the seeds and membranes with a knife. Add the milk and water to a large bowl and soak the jalapeños for 15 minutes, stirring once or twice. 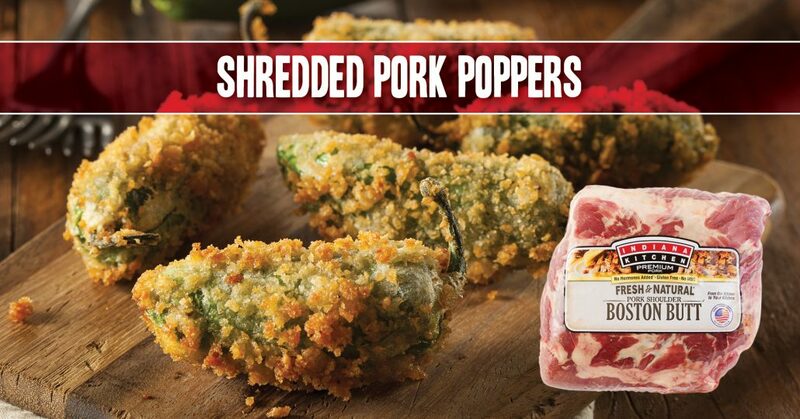 Meanwhile, mix the cheddar, cream cheese, pulled pork and chili powder in a bowl with your hands. Drain the jalapeños and pat them dry. Stuff 1 to 2 tablespoons cheese filling into each pepper. Put the flour in a shallow dish. Whisk the eggs and 1/2 teaspoon salt in another dish. Put the breadcrumbs in a third dish. One at a time, hold the peppers by the stems and dredge in flour, then dip in the beaten eggs, letting the excess drip off, and roll in the breadcrumbs; dip in the eggs again and reroll in breadcrumbs. Transfer to a plate and refrigerate until the coating sets, about 20 minutes. Heat about 1 inch of vegetable oil in a large saucepan over medium heat until a deep-fry thermometer registers 300 degrees F.
Fry the jalapenos in batches, turning until golden brown, 4 to 5 minutes per batch. Drain on paper towels. 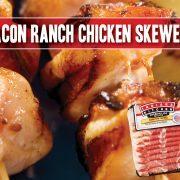 Sprinkle with salt and serve with barbecue sauce. 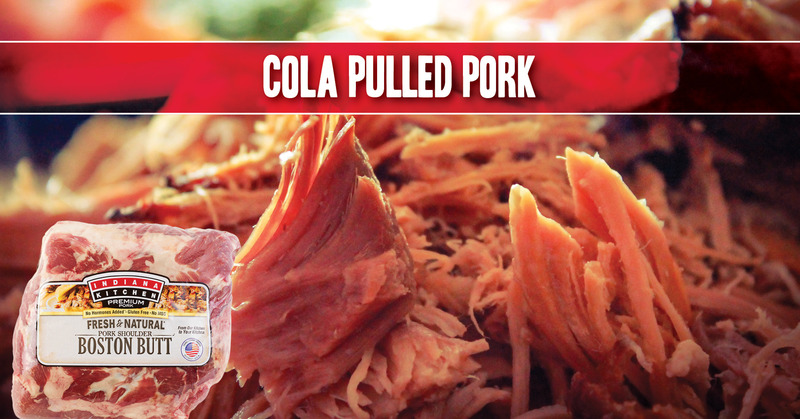 *This recipe assumes you already have pulled pork prepared. 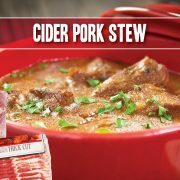 For our Indiana Kitchen Pulled Pork recipe, see https://indianakitchen.com/recipe/slow-cooker-pulled-pork/. 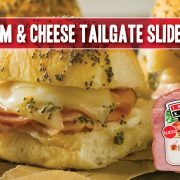 Combine the convenience of Indiana Kitchen sliced quarter hams with the creativity of this super-simple sandwich recipe to expand your own football fanbase this weekend! In a small bowl, whisk together all of the ingredients for the butter sauce. Set aside. Using a serrated bread knife, slice the rolls in half horizontally, keeping the top and bottom halves separately intact. Spread the Dijon mustard evenly over the cut sides of the roll tops and bottoms. Place the bottom half of the bread, cut side up, in a 9-inch square baking pan. Place half of the cheese in an even layer over the bread. Top with all of the ham, followed by the remaining cheese. Cover with the roll tops. Evenly spoon the butter sauce over the top of the rolls, letting it drip down the sides. Bake for 22-25 minutes, until the top is golden brown and toasted. Let cool for 15-20 minutes in the pan. Using a large spatula, carefully transfer the sandwich block to a cutting board. 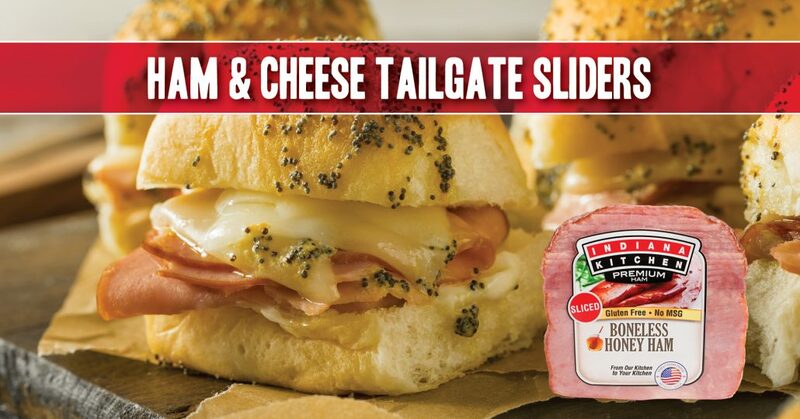 Slice into sandwiches and transfer to a paper towel-lined serving plate. 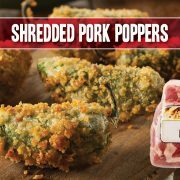 Serve warm or room temperature. Are you the type that thinks salads are nice but never fill you up? Think again! 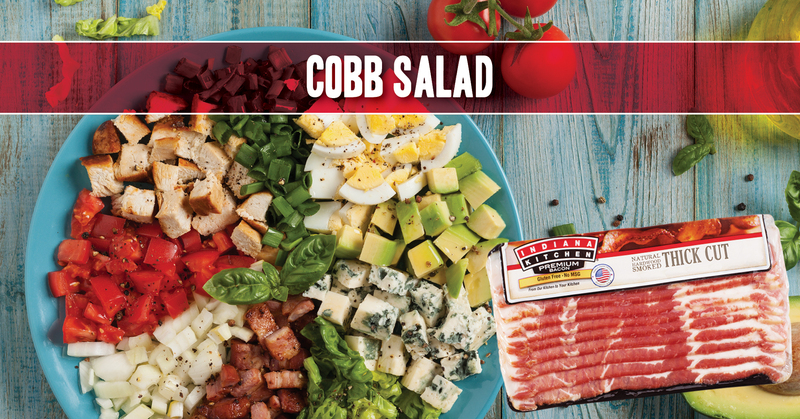 This hearty Cobb Salad will have you boxing up leftovers. 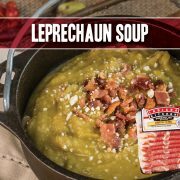 Featuring Indiana Kitchen bacon! Divide shredded lettuce among individual plates to make bed for rest of ingredients. 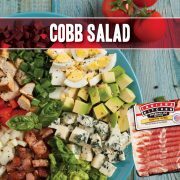 Evenly divide and arrange bacon, ham, chicken, eggs, tomatoes, onion, avocado, blue cheese and green onions on top of lettuce. 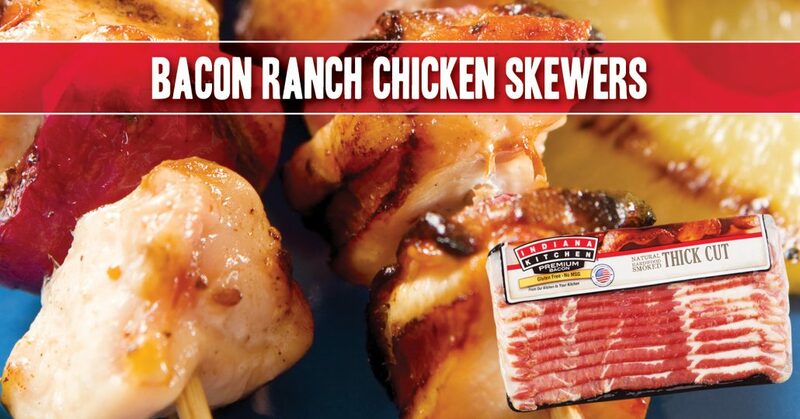 Drizzle with your favorite dressing and enjoy. How do you like your dogs done? 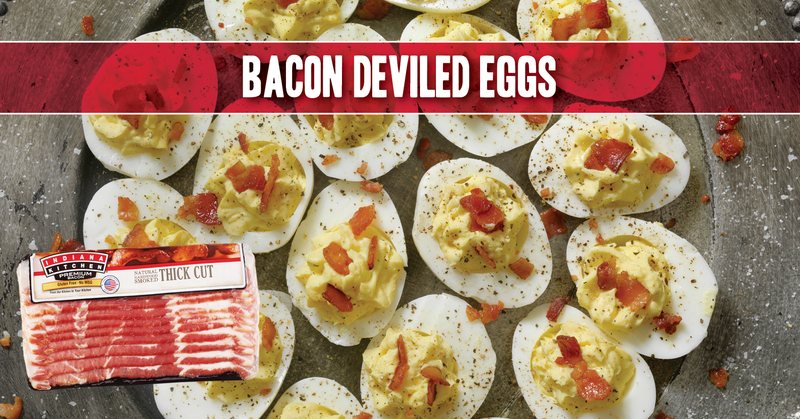 Of course, we love them wrapped in Indiana Kitchen bacon! 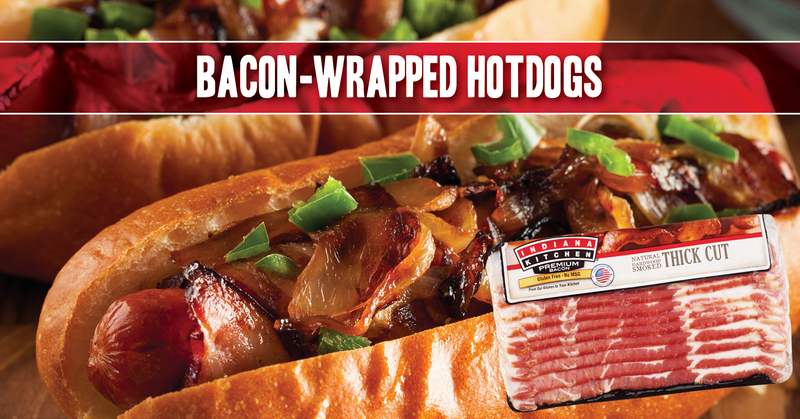 Wrap one slice of bacon tightly around each dog and place on baking sheet. 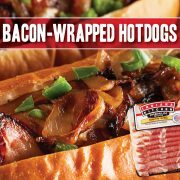 Bake for 12 to 15 minutes or until bacon is thoroughly cooked and hot dogs are browned. Serve on buns with your favorite toppings. Baking these wrapped doggies in the oven makes for an easier and safer cooking experience than on the grill, though if you prefer to grill your dogs be careful about grease flare-ups from the bacon which can cause uneven cooking or burnt food.